Four More Tips for Making Sure Your DOE isn't D.O.A. In my last post, I shared some helpful advice for performing DOE from Minitab trainers Lou Johnson and Eduardo Santiago. 1. Fractionate to save runs focusing on Resolution V designs. 2. Replicate to improve the power of your experiment. Power is the probability of detecting an effect on the response, if that effect exists. Power is also a function of the number of replicates. Increasing the power of an experiment via replication increases the chance that you will be successful in determining which input variables affect your response. 3. Improve power by quantifying a binary response. Reducing defects is the main goal of most experiments, so there is a tendency to use defect count as the response. However, defect counts are a very expensive and unresponsive output to measure. Measuring a quantitative indicator related to your defect level can dramatically decrease your sample size and improve the power of your experiment. 4. Study all variables of interest and all key responses. 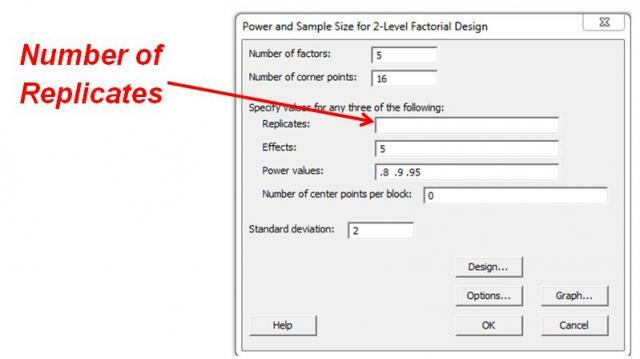 Factorial designs allow you to take a comprehensive approach to studying all potential input variables. Don’t let fear of complexity cause you to leave out potentially important input variables. Removing a factor from the experiment reduces the power of determining its importance (power) to zero. Do you have any DOE tips or tricks to add to our list? Minitab features Factorial, Response Surface, Mixture, and Taguchi designs to help you find the settings to optimize your processes. You can try Minitab Statistical Software free for 30 days by clicking here.